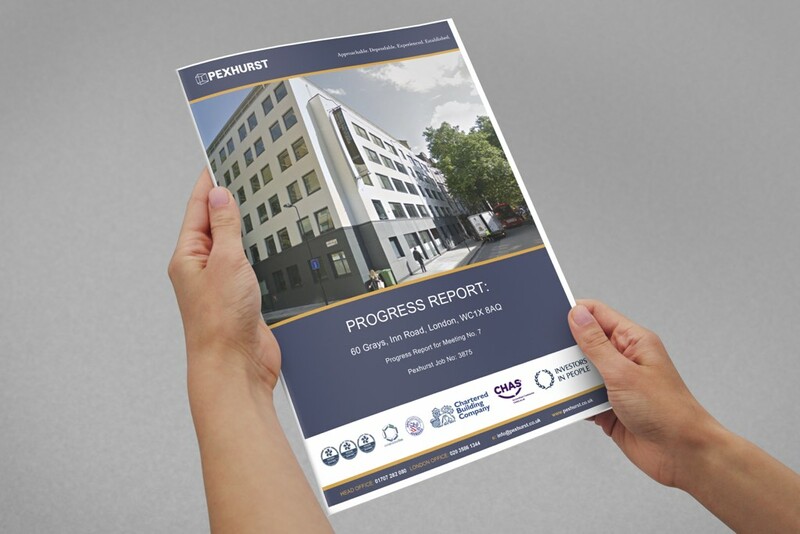 Established in 1977, Pexhurst is a London based property company specialising in award winning fit outs and refurbishments of offices, warehouses and public service buildings in the educational and healthcare sectors. A comprehensive portfolio of award-winning work has given Pexhurst an impressive 100% recommendation rating from their loyal customers. 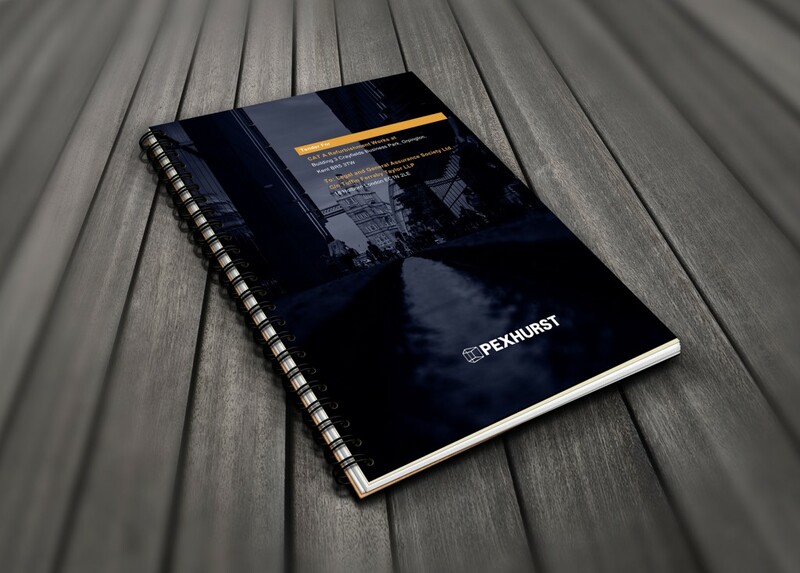 As a complete solution provider Pexhurst offer clients a turnkey service from design and project management through to construction and completion, their impressive client roster for whom they have undertaken multi-million-pound projects is testament to Pexhurst’s reputation for quality refurbishments. Because of its success, Pexhurst has, for a long time, been able to trade on its reputation and established skilled contacts, with most new business coming via referrals and recommendations. As a result, their presentation/pitch material has not been reviewed or updated for some time and did not match the professionalism or high quality of their workmanship particularly when pitching for high value projects. This problem has been compounded because each pitch/presentation document that the company produces is unique and must be tailored to meet the needs of the individual project. 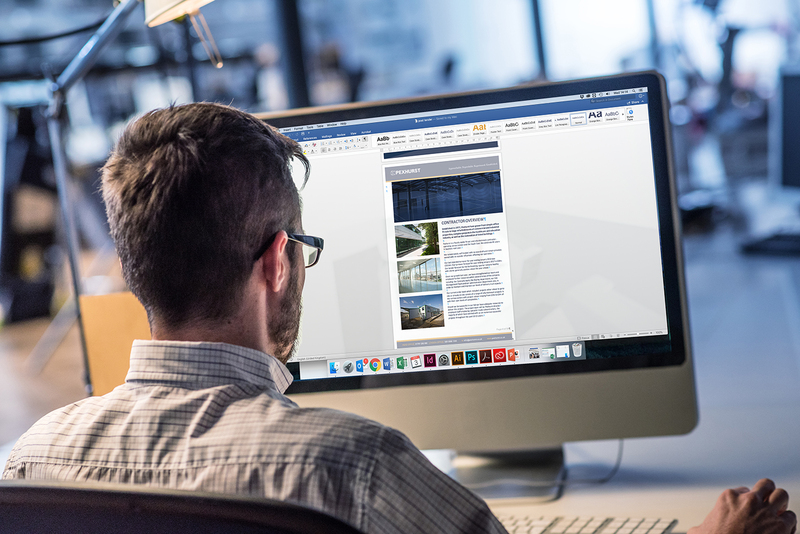 Pexhurst asked us to come up with a solution – in both print and digital formats, that could be adapted to cover a range of required documents but most importantly could be edited in-house. A house style’ was created for the documents and this included elements like headings, title pages, body copy and tables – doing this at the start gave a consistent look and feel throughout for the range of documents being produced and ensured they would sit together as a family. The next step was to ensure ‘ease of use’ as this was a crucial factor to the whole review process. By creating two types of template format; ready formatted templates for regularly repeated information and editable templates for project specific information that staff could easily amend. For example the placement of images is simple with no editing or cropping required. 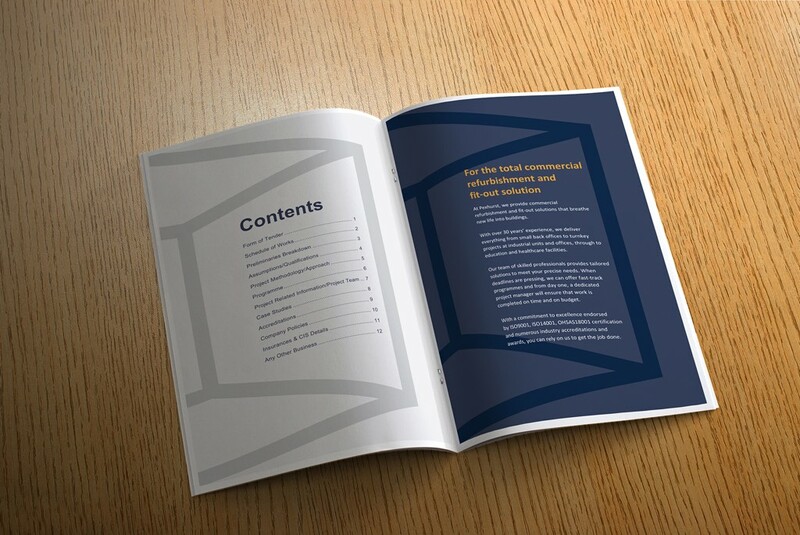 The completed documents can be saved in pdf format allowing them to be used in digital or print format. The client was delighted with the results and the new templates have been adopted with all staff agreeing that it’s a big step forward. The solution means that existing Word-based skills by members of the Pexhurst team can be utilised and alongside ‘help sheets’, created by Simpsons outlining the use of the templates, has eased the transition to the new formats. We use Pexhurst’s cloud storage solution to distribute the templates out to the Pexhurst team & by doing so ensure that everyone is always working from the most up to date versions. This means that when the need for additional templates arises, we can create them, and they can be rolled out immediately. The established template styles ensuring they fit seamlessly alongside existing files. The results speak for themselves and has resulted in further commissions from Pexhurst who are keen to develop the system further to bring the same results to other documents.